If Nails has been anything over their career it is stubborn. The Californian trio is totally uncompromising in their swirling maelstrom of grindcore catharsis and the band are faced with expectations at this point in their career. What the band lack in innovating surprises, they make up for in unrivaled raw power. 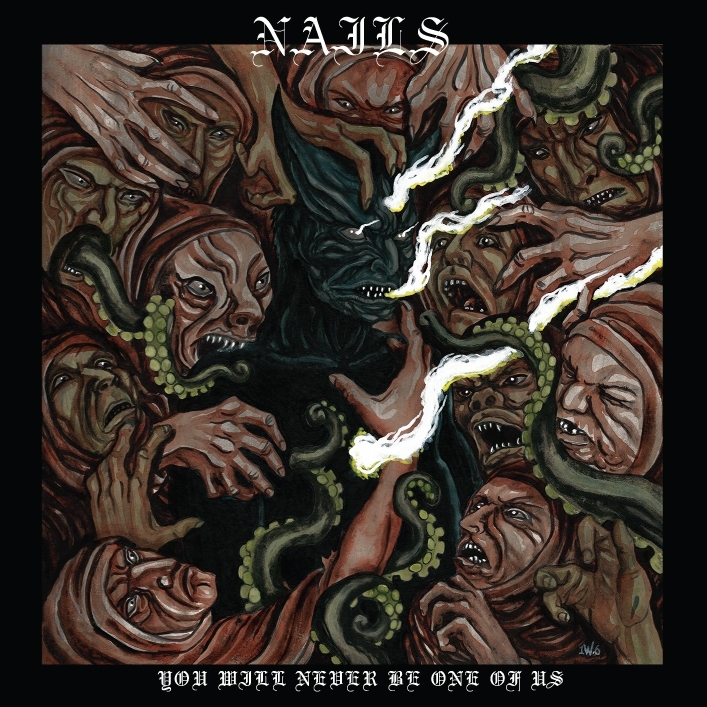 Nails want to kick your teeth in, and despite their records never eclipsing the 22 minute mark, Nails are relatively methodical when it comes to studio output. This is their first record since 2013’s “Abandon All Life”, a punishing record that was critically well received and garnered the band a loyal domestic following. Three years later, the band have finally made their follow up and debut on Nuclear Blast Records with “You Will Never Be One of Us”, a ferocious addition to the Nails canon that stands out as their best release to date. 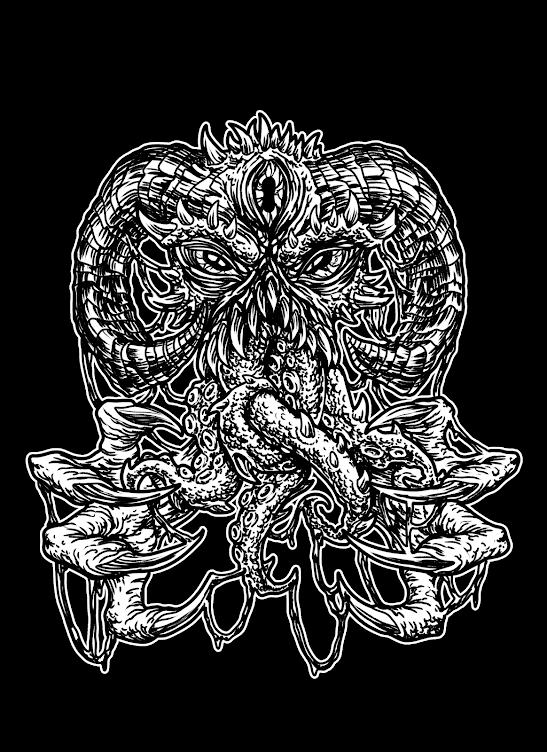 Lead vocalist and guitarist Todd Jones has crafted some heavy sludge riffs that pulsate over the noise and double bass that smothers most of this record. Tracks like “Life is a Death Sentence” and the epic eight minute closer “They Come Crawling Back” (a third of the album’s running time and in part a cover version of the band Dead Black) showcases versatile enjoyable riffs that have been contorted into vehicles of pure aggression and punishment. Tracks like these do well to break up the frantic pace of “You Will Never Be One of Us” that often tries to blow the listener away with speed and precise moments of screeching guitar. Many tracks such as the eponymous lead single and the spitfire “In Pain” display what Nails feel most comfortable doing. This band is better than anyone at creating minute and a half songs of pure terror and anguish due to Jones’ gruff vocals and the band’s disorienting waves of distortion and unrelenting breakneck pace. Jones’ lyrics which often harbor ideas of loneliness, inner turmoil, and nihilism give these tracks an extra punch of bleak unchanneled frustration. “You Will Never Be One of Us” is as grim and dark a record as they come, and whilst they offer only one shade of black, they happen to do this shade incredibly well. 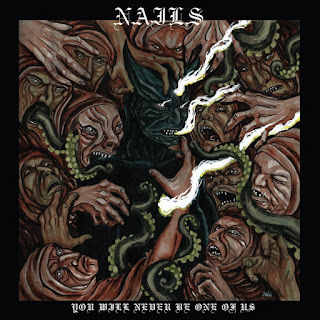 During the brief excursions Nails choose to experiment, they do so in a very meaningful and effective way, which is testament to their inclusion of Dead Black in the outro of album closer. The slower sludge metal riffs on the record demonstrate that Nails are capable of melody and enchanting rhythm too, but this record is mostly about one thing, to flat out punish every living thing in existence. Suffering for this trio, appears to be an inevitable part of life that their newest record embodies in so many different ways. This record’s power can physically obliterate the weak while exhausting all mental reserves of strength. Such exhaustion at the end of a record is now the certified trademark of Nails.